We were thrilled when Dave Munsey, the renowned and beloved AZ News Weatherman most famous for his “Watch Your Kids Around Water” safety campaign, approached us to request a landing sales page for his book. 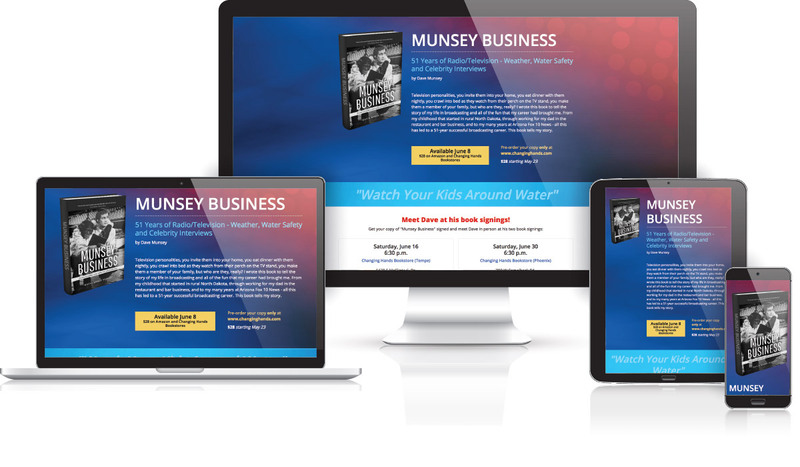 Mr. Munsey needed a simple platform to announce and sell his book (available on Amazon). We worked with some great images from his history as a newscaster and a bright color palette reminiscent of the news station he retired from to create a simple landing page for the book.